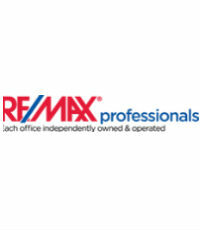 The team of Ed Dale and his son Ed Jr. consistently rank in the top 1% of Realtors in Winnipeg and the top 50 for RE/MAX franchises in Canada. In addition to their reputation as specialists in the south Winnipeg market, they are also known for their wide-ranging marketing endeavors. Not only do they take advantage of old fashioned, tactile methods like “Just Sold” post cards and calendars with their clients’ homes on them, they also leverage Facebook ads to devastating effect. Ed Dale Jr. estimates that his video tours generate over 15,000 views a week on Facebook. “I spend $35 or $40 a listing marketing it and get that crazy amount of views on it,” he says. “It’s ridiculous.” While a number of Realtors are trying to leverage trendier platforms like Instagram and Twitter, Dale sees Facebook, which is growing in popularity among older users, as the ideal way to reach potential clients.